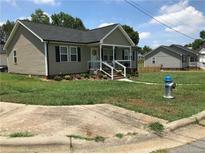 Find Shelby, NC New Homes for sale. View Photos, Maps and MLS Data Now! Deer Brook - Finished room off mater can be bonus or 4th bedroom. MLS#3472262. Allen Tate Shelby. Ft. INCLUDES: Family Room w/ Custom Kitchen w/ Granite Tops and wired Center Island w/ Granite, Custom UPScale Lighting fixtures throughout, Inside Laundry, Thermo-Pane Windows, Hi-Efficiency Heat Pump System, Carport W/Separate Utility Room, 3/8" Engineered hardwoods in Living Room and Laundry,Vinyl Flooring in Baths, 12' X 10' Wood Deck, Concrete Front Porch 20' X 4', Concrete Driveway w/ pull-Off, .55 AC CORNER LOT W/ 231' Road Frontage MLS#3460087. RE/MAX Select. Trey in master w/ separate shower and tub in master bath. MLS#3440016. Allen Tate Shelby. Deer Brook - No negotiation necessary. Lowest price guaranteed. MLS#3388379. Wade Jurney Homes. Deer Brook - No negotiation necessary. Lowest price guaranteed. MLS#3388381. Wade Jurney Homes. Deer Brook - No negotiation necessary. Lowest price guaranteed. MLS#3388366. Wade Jurney Homes. Deer Brook - No negotiation necessary. Lowest price guaranteed. MLS#3384284. Wade Jurney Homes. Deer Brook - No negotiation necessary. Lowest price guaranteed. MLS#3342549. Wade Jurney Homes. Deer Brook - No negotiation necessary. Lowest price guaranteed. MLS#3342535. Wade Jurney Homes.